On 23 Mar 2009 the contract agreement for the SNFCC was signed with the Government and involved parties. 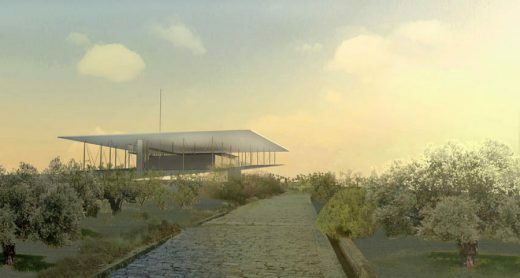 The Board of Directors of the Stavros Niarchos Foundation (SNF) and the Renzo Piano Building Workshop, a world-renowned architectural firm, revealed the concept design on January 24th, 2009 for the Stavros Niarchos Foundation Cultural Center (SNFCC), housing the National Library of Greece and the Greek National Opera, both set within the Stavros Niarchos Park. SNFCC will be located at the Faliron Delta area in Athens, Greece and will include the latest in environmentally progressive, state-of-the-art facilities. In addition to increased exposure to the arts and access to green space, both physical and virtual guests will benefit from the technologically advanced library. RPBW also paid particular attention to the accessibility for people of all ages and special needs. In keeping with SNF’s and RPBW’s mission to create an emissions neutral facility, the project has been conceptualized with the highest standards of environmental sustainability. 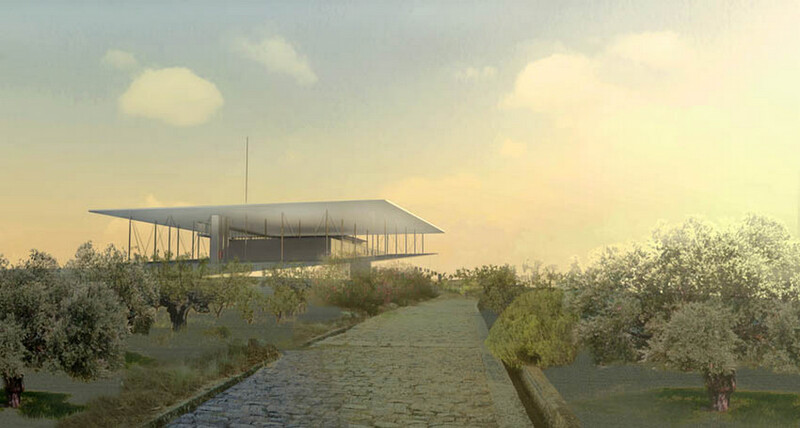 A pivotal design element that will play a significant role in helping achieve this aggressive standard can be seen in Piano and his Building Workshop’s innovative roof– a series of interconnected photovoltaic cell panels which will cover the structure’s needs, taking advantage of the pure “green” solar and wind energy. SNFCC is also expected to receive LEED certification. LEED addresses all building types and emphasizes state-of-the-art strategies in five areas: sustainable site development, water savings, energy efficiency, materials and resources selection, and indoor environmental quality. “Athens’ First Port” Another fundamental attribute incorporated into SNFCC is the sea, which has played an important role in Greece’s history and culture. To draw in the sea’s sense of light, limitless opportunity and exploration, a canal will run parallel to the existing Espalanade. Within the border of SNFCC, the canal will provide visitors a chance for family gatherings, activity, and relaxation, also playing the role of levee. SNFCC is expected to open in 2015 and its construction will be funded exclusively by SNF with an approximate budget of 450 million Euros, pursuant to a Memorandum of Understanding executed with the Greek State. A final agreement with the Greek Government describing the work was signed commencing the project. Once completed, the project will be turned over to the Greek State. The site is approximately 187,800 square meters. The Stavros Niarchos Foundation, an international philanthropic organization, underwrites charitable activities in four primary areas: education, social welfare, health and medicine, and arts and culture. The Foundation supports selective programs and makes grants to non-profit organizations throughout the world, many of which promote, maintain, and preserve Greek heritage and culture. Since its inception in 1996, the Stavros Niarchos Foundation has provided total grant commitments of $US 361,254,582 to more than 1,500 non-profit organizations in Greece and abroad, in more than 86 nations around the world. The Foundation is administered by a Board of Directors composed of: Philip Niarchos, Spyros Niarchos, Andreas Dracopoulos – Co-Presidents and members of the Board, as well as Donald Harrison, Kurt Arnold and Jeffrey K. Brinck. In Greece, an Advisory Committee researches and recommends to the Foundation’s Board various nonprofit organizations and projects for funding. Its Chairman Emeritus is Constantine Dracopoulos. The Advisory Committee is comprised of George Agouridis – Chairman, Costas Iordanidis, Panagiotis Koulouvaris, Ádonis Kyrou, Ánna Pouskouri-Reiche, Protopresbyter Thomas Synodinos, Åleni Triantafyllides, Åftychios Voridis and Yerassimos Yannopoulos.